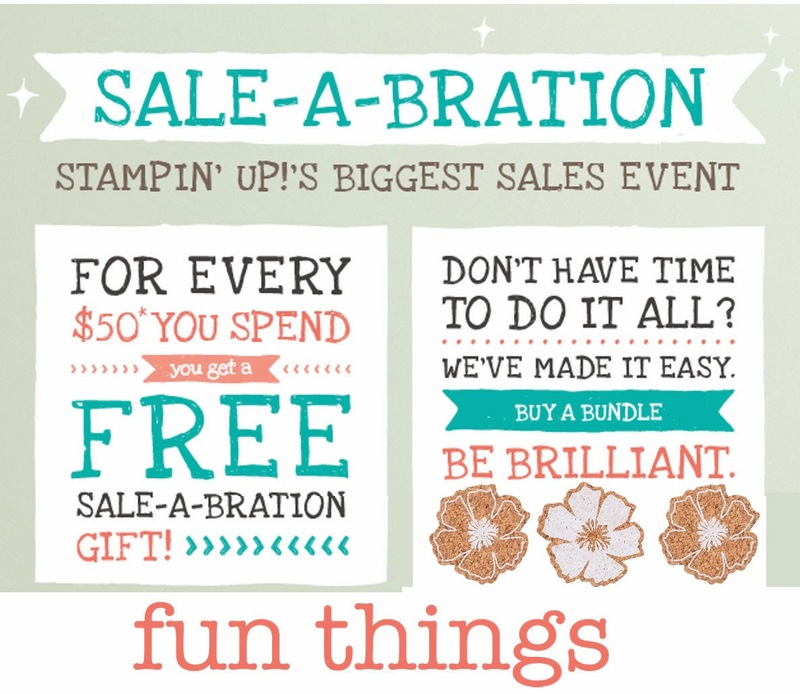 GOTTA STAMP WITH SUZANNE JOHNSON: SALE-A-BRATION! Need I say more? I mean, what better announcement could there be for a Tuesday Newsday than the start of everyone's favorite promotion: SALE A BRATION! This year, there are some special bundles you can order that will make it oh-so-easy to earn one (or more) FREE SAB PRODUCTS! The bundles and, of course, all those great new-product freebies are all in the SAB brochure. The link on the right will take you to the bundles, and on my Catalogs & Supplements page you'll find a link to the PDF for the brochure so you can download your very own copy (or ask me for one!). And while you are on that page, you can check out all those online-only products because NOW is the time to splurge a little so your order will qualify you for something free from the SAB selection! Can you handle some MORE GOOD NEWS? The Valentine promotion items that have not yet sold out are still available...until February 14 or while supplies last!